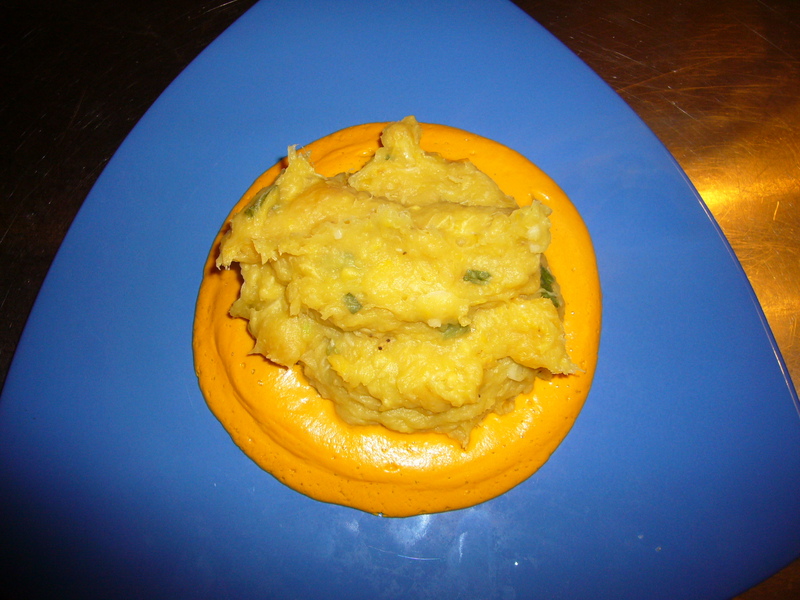 Cook sweet potatoes and yellow plantain in water till potatoes are tender. Drain, and return to pot. 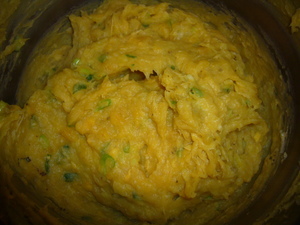 Return pot to medium heat and add black plantain and garlic. 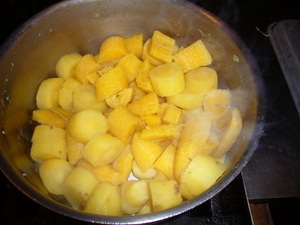 Stir with a wooden spoon and smash the plantains and the potatoes. 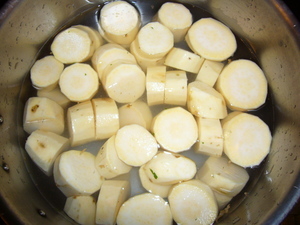 When not much steam is being released from the potatoes, remove from the heat and add cumin, pepper, scallions and juice of half of an orange. Add salt to taste.